Do you spend hours trying to find the perfect pair of fonts to create logos, marketing materials, stationery, or crafts? I know I do! Guess what?!? There are some font designers who already did the hard work for us and made the perfect sets for all your graphic design needs. I have rounded up 10 gorgeous hand-lettered script fonts with their corresponding print font to make you look like you are font pairing master. 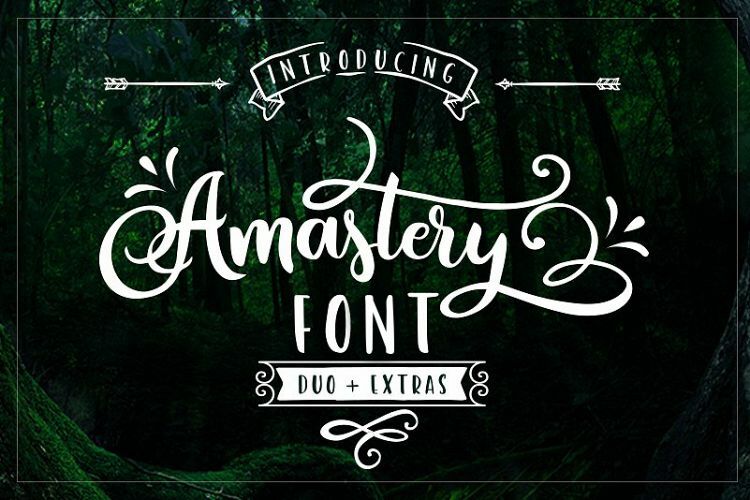 Amastery is a script font with lots of alternative lowercase glyphs plus a complementary font and lots of clipart in font format as well as EPS, PNG, and SVG. This is an extremely popular font in the crafting world! 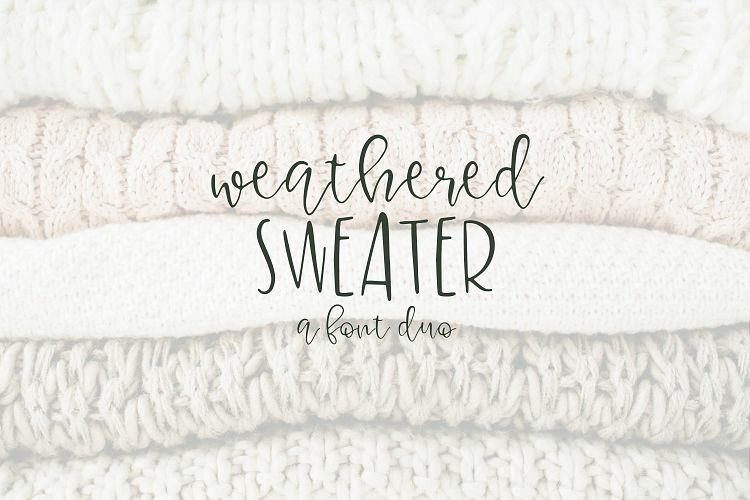 Weathered Sweater is the perfect font duo for hand-lettered calligraphy! Gives a real farmhouse feel to your custom designs! Uppercase quirky + flowing lowercase script. 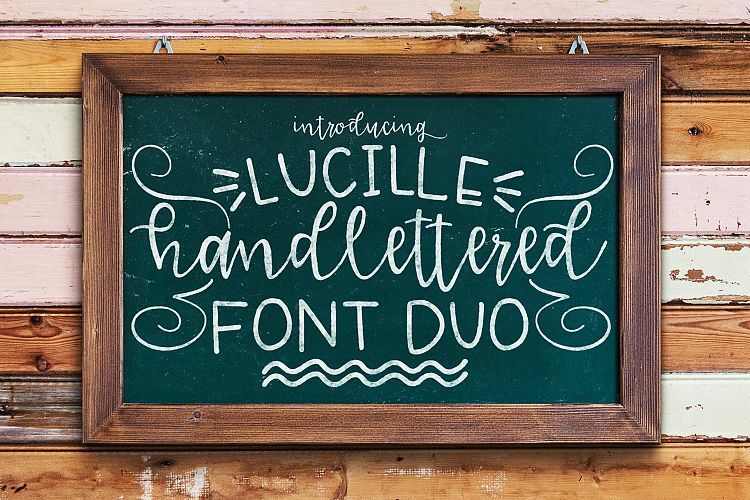 Give your designs a hand-lettered dose of personality with font duo, Lucille hand-lettering! 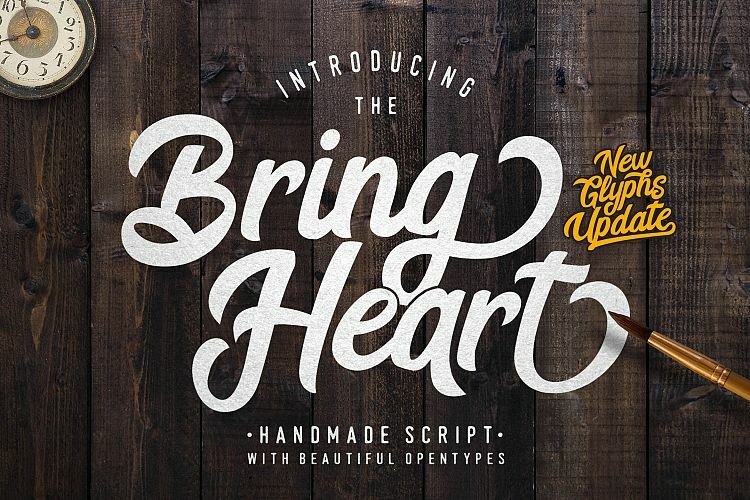 This font (uppercase Print and lowercase Script) was designed to work perfectly with each other to create a unique and genuine hand-lettered look and feel to all your projects. 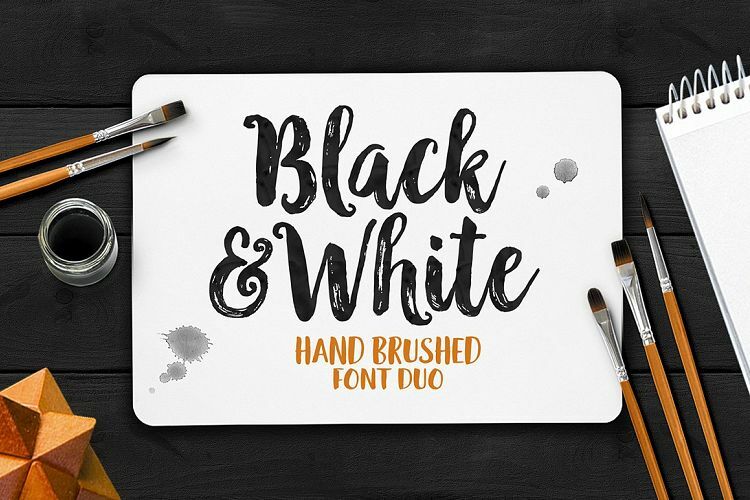 Black and White script is a hand brushed font created with a brush and ink, bold and irregular baseline. 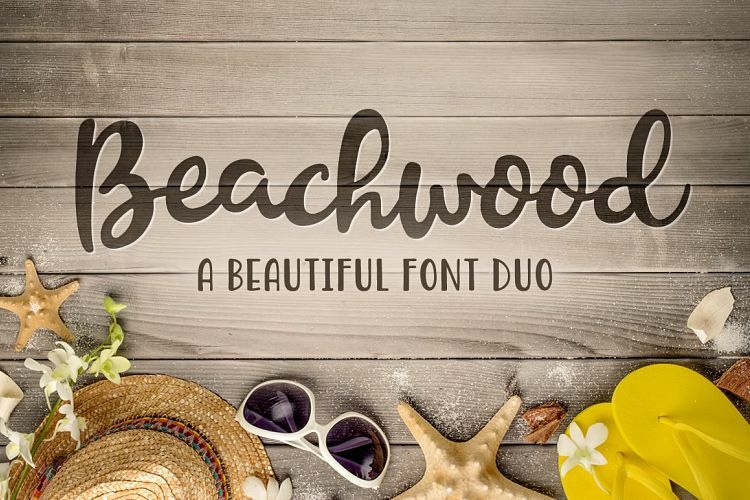 This font ideal for use in watercolor design or lettering styles such as posters, wedding elements, t-shirt, apparel, cover books, business cards, greeting cards, branding, merchandise, invitations and handmade quotes and more! 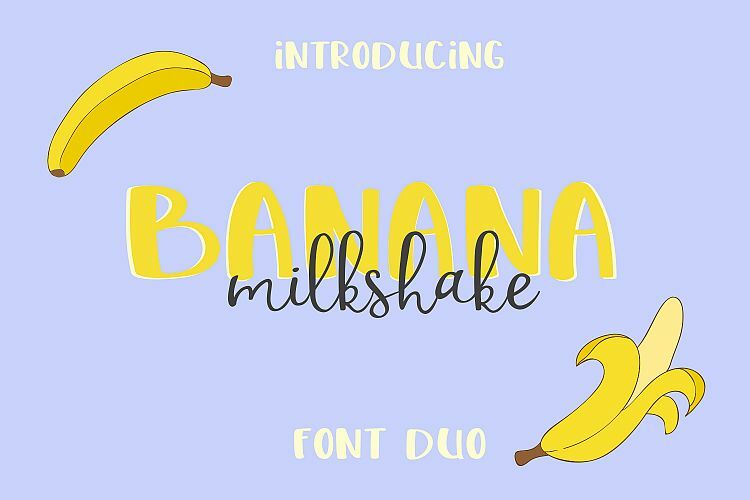 Banana Milkshake Font Duo is the perfect font combination for your design and craft projects! Yum! Now I'm suddenly craving ice cream. 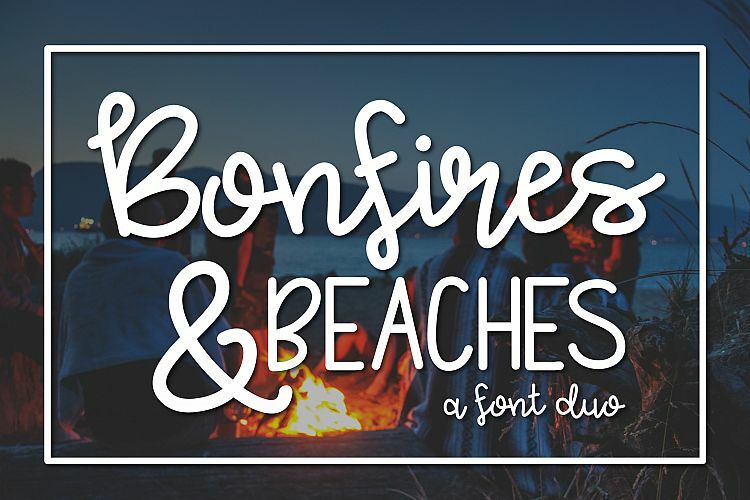 Bonfires and Beaches font duo is perfect to add to any project. This will warm you back up after that delicious milkshake above. 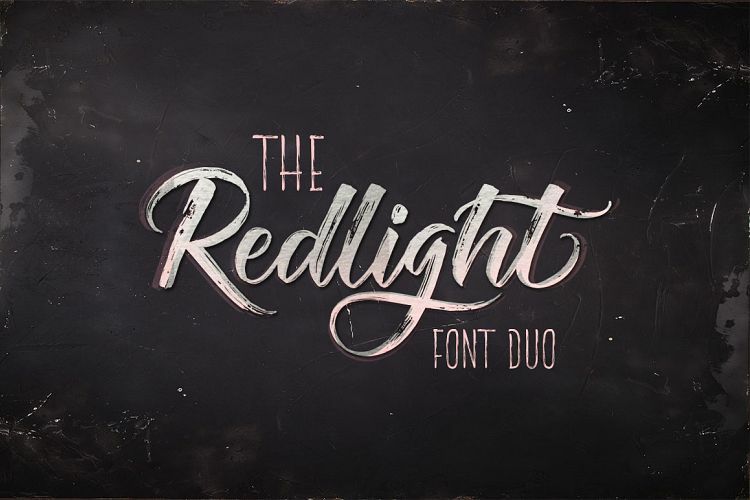 The Redlight Font Duo is a beautiful Script, it's suitable for wedding invitations, greeting cards, T-Shirts, Logos or any design that you create. It comes with a complete set of standard characters, alternates, punctuation & international glyphs. 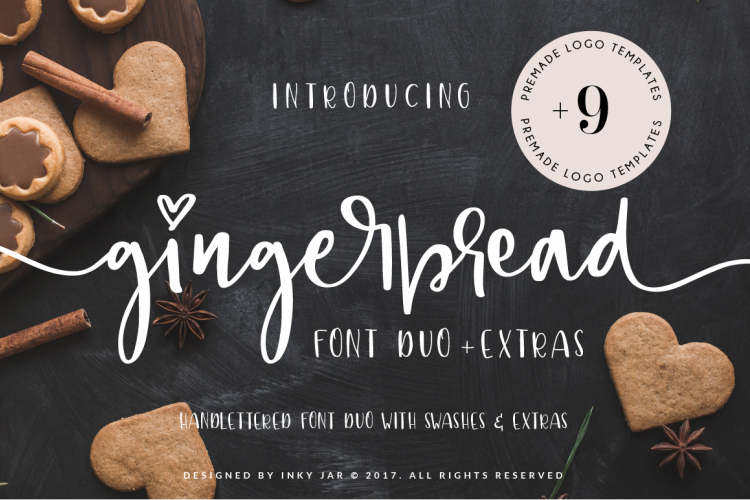 Gingerbread is a bouncy, hand-lettered font duo with lots of swashes and illustrations. It has 2 additional sets of stylistic alternates of beginning and ending letterforms. 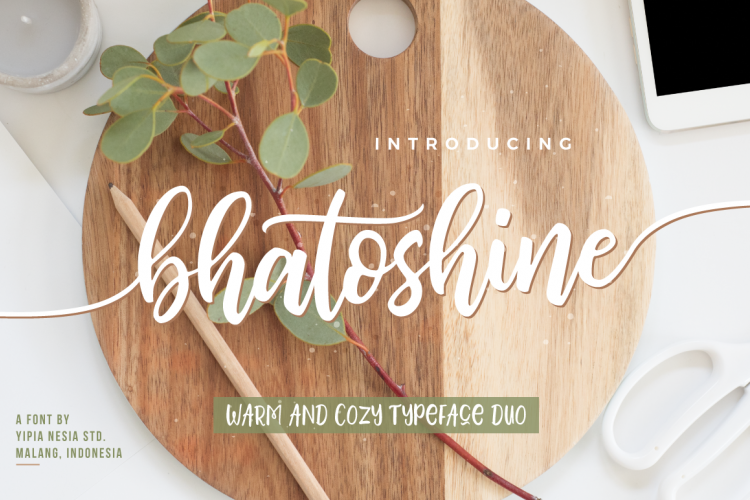 A hand brushed fun, warm, and cozy typeface duo with extras. These 2 hand brushed fonts are perfectly combined with one another. The Bhatoshine Regular font combines with the Bhatoshine Caps font to make each word unique, and BOOM! Beautiful typography! So those are 10 of my favorite hand-lettered script and print font duos for the perfect pairing, in no particular order. If you use them you'll have professional looking results every time. So save yourself all those hours of searching and get back to binging on your favorite show.